Silver coins are popular investments among coin collectors and speculators. Investors buy them to hedge against inflation, and their investments paid off at the start of the 21st century due to rapid increases in the value of silver. When prices rise, thousands of people seek to sell their collections of silver coins, but most are ill-prepared to sell coins. Knowing how and where to sell coins and how to maximize return requires several considerations. To reap the rewards of investing in silver, collectors and investors need information on when to unload their silver coins. Essentially, the best time to sell is when prices are high. Prices for silver coins depend on the scarcity of a particular coin, its condition and the current trading price for silver. In the early years of the 21st century, prices rose due to increased industrial demand for silver. Because silver has unique properties, it is used for a variety of industrial purposes. Supply also plays a role in the value of silver. In 2008, the world's supply of above-ground, refined silver totaled just 300 million ounces. According to an August 2009 article in "The Motley Fool," an investing publication, mining output is on the rise. In 2008, a troy ounce of silver brought $14, the second-highest value since trading began in the mid-1800s. In August 2009, a troy ounce sold for approximately $13, which was still 100 percent better than the 2001 price. The obvious first concern when selling coins is to know the value of a coin before you decide how to sell it. For some coins, market value might be fine. For others, though, you might miss a great opportunity to receive a premium for the coin. For example, American Coin, a company that buys and sells coins as collectibles, values some silver dollars at $5, which might be more than they are worth in terms of their silver content. Bookstores and websites offer pricing information for many silver coins, but coin dealers also help value coins that come into their shops from prospective sellers. Make sure the coin dealer is a member of the American Numismatic Association, which requires that they subscribe to a code of ethics. That ensures you'll receive a fair quote. If dealers do not want them, there's a chance they will know someone else who might. Don't be afraid to ask about other places to sell your coins. Selling coins to scrap dealers offers several advantages. Foremost, dealers pay market value for silver coins. Market value is known as melt value, which is the value that the current market pays for silver. With a predetermined price, sellers know in advance what they will receive. One dealer, the American Precious Metals Exchange, buys coins through its website. According to the APMEX website, the company only buys in bulk. A seller must offer a minimum of $1,000 in silver coins. Those who sell to APMEX must call the company to receive a quote price for the coins. That price stays locked in for five days. After receiving the quote, sellers have those five days to ship the coins to APMEX. After the company receives the coins, it issues payment in the form of a check sent via mail. 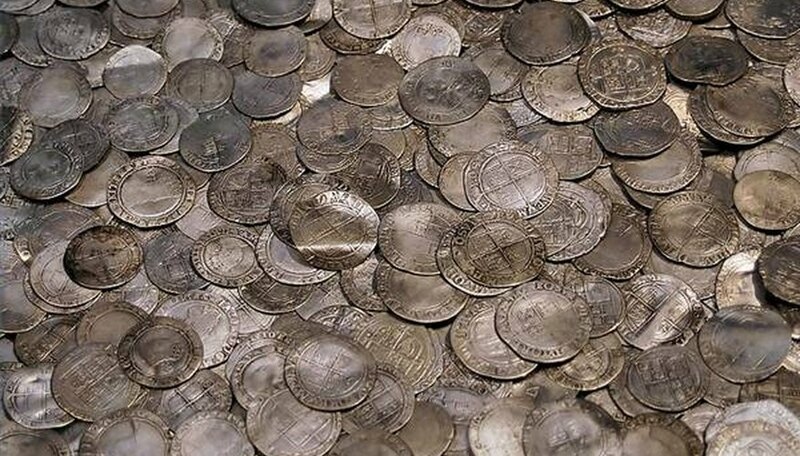 A drawback to selling silver coins to scrap dealers is that many charge a transaction fee and require that you pay for any shipping costs. The American Precious Metals Exchange does not charge a fee for a transaction, but the company says it charges $25 for anyone wishing to receive payment via a bank wire. Another drawback to selling coins to scrap dealers is that they do not consider the scarcity of the coins. In fact, many do not research a coin's demand among collectors until after they purchase the coins. Therefore, a rare coin might sell for far less than what an active collector might pay. The easiest way to sell coins to collectors is through an auction. Live auctions, as well as Internet auctions such as eBay, attract several prospective buyers, and the competitive bidding process drives up the selling price for a coin. Collectors also pay more than face value for coins deemed in high demand. Factors they consider include the condition of the coin and collector demand. The primary drawback to auction selling is that price varies. While a seller might receive a premium for his silver coins, minimal competition also might cause coins to sell for less than market value. To avoid such concerns, ensure that the starting bid is at least equal to the actual market value of silver. Don't forget the tax implications. Sure, the Internal Revenue Service is not likely to bother someone over a $10 silver coin, but selling $4,000 in silver coins might require you to pay taxes. According to accountant John Stancil, you must report to the IRS income from the sale of silver coins when you sell them for more than you paid to acquire them. For coins that are inherited, sellers must pay capital gains. Check with a tax professional to determine whether you must report the income.